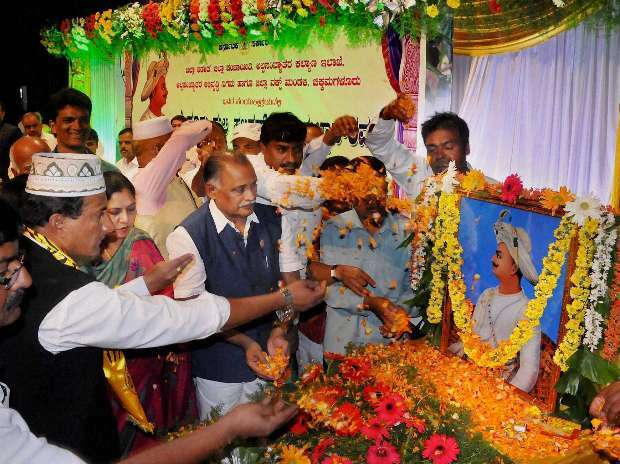 District minister K Abhayachandra Jain paying floral tribute to Tipu Sultan on his 265th birth anniversary at Chikmagalur in Karnataka. 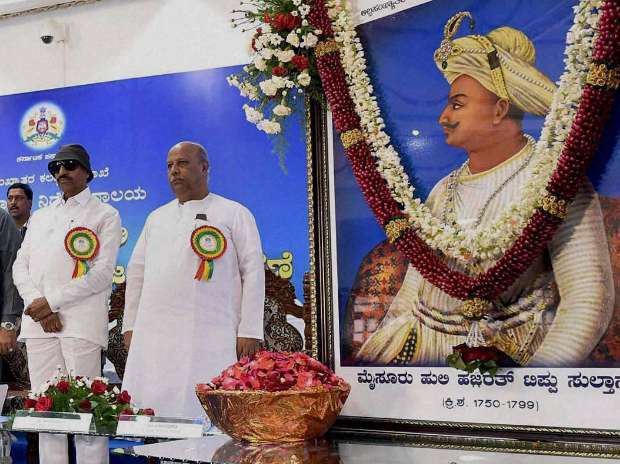 Karnataka Chief Minister Siddaramaiah with Veerappa Moily, K Rahman Khan and others during a function to celebrate Tipu Sultan Jayanti in Bengaluru. 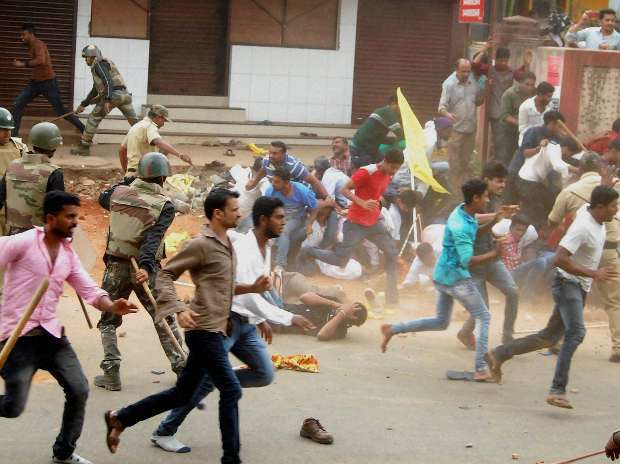 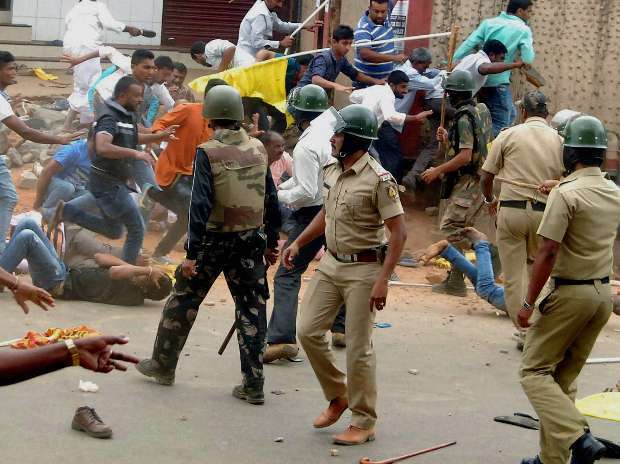 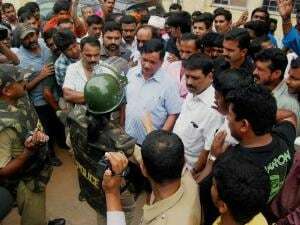 Police in action after two groups clashed over Karnataka government's decision to go ahead with Tipu Sultan Jayanti celebrations, in Kodgu. olice in action after two groups clashed over Karnataka government's decision to go ahead with Tipu Sultan Jayanti celebrations, in Kodgu. 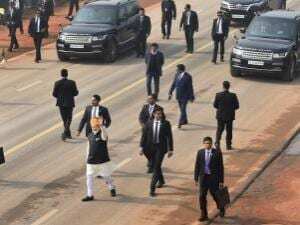 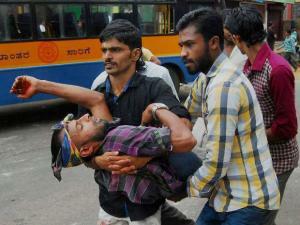 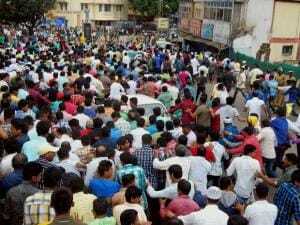 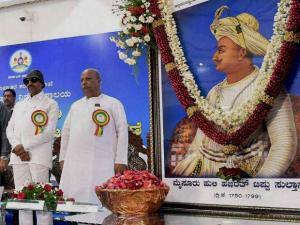 Two groups clash over Karnataka government's decision to go ahead with Tipu Sultan Jayanti celebrations, in Kodgu. 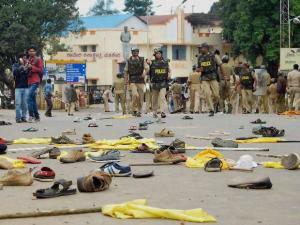 Footwears lying on a road after two groups clashed over government's decision to go ahead with Tipu Sultan Jayanti celebrations, in Kodgu. An injured is taken away for medical aid after two groups clashed over government's decision to go ahead with Tipu Sultan Jayanti celebrations, in Kodgu.